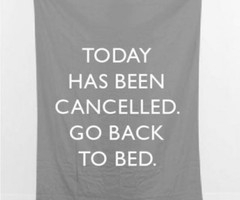 Sometimes I wish the day was cancelled. There are times when I dread getting through the drudgery of the day. That is unfortunate for me because if I stayed alone in bed all day I would miss out on the present. I would miss the sunny day, the dialysis patient making jokes, my favorite song on the radio, and interacting with my family. I would miss out on all I accomplished (like actually getting the bed sheets changed and writing this post!) The repetitiveness and the busiest of each day isn’t what the day about. The day is about the moments. Remind yourself to rejoice in the moments each day brings.